Carnelian is also a Silica dioxide as some of the other explorations we have done in 2015. In addition it contains Iron. It might just be from the Iron in Carnelian that it connects us with the power and initiative for a new start. We explored Iron in 2008 and many experienced a force and energy that was new to them. We were filled with industriousness but the polarity of weakness and despair was also present. There was in Iron a polarity between heat, redness, heaviness, and a foggy feeling in contrast to a cold clear sharpness, and self-assertiveness on the edge of becoming hostile was also present. 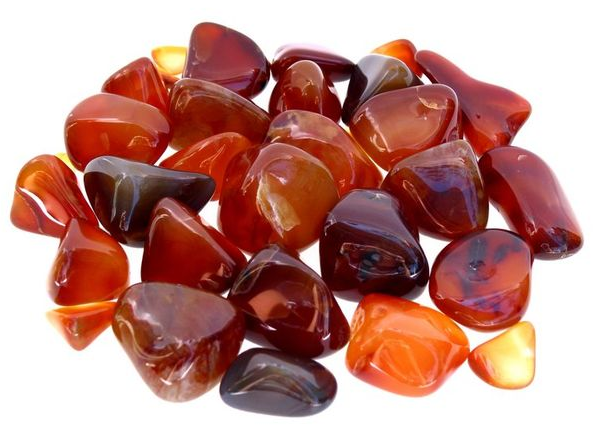 With the element of Iron in it we can understand how Carnelian gives you the power to initiate and start your future life just now, how it gives courage and initiative. In Carnelian this is not an egocentric driven force, but a more collective unifying approach opening the heart to connect with a broader group, your crowd, nation or human kind. When in a place of calamity, struggling, poverty or war Carnelian gives you the power to persist, survive, to find your way or solution. It takes away the illusion of being alone and makes you realize we are together in the same boat. The synchronicity of the refugees over the Mediterranean hit us all during the exploration of this gemstone. It is a reminder that we are united, we belong together. This feeling of unification is also a feeling that many of the thousands of refugees walking day and night through Europe over the last weeks and months must have felt in the middle of despair. A despair that has made them take steps to open a new door where a new life is chosen. Initiating a new beginning. Also all the people opening there life, home and time for the human kind has opened the door to a new start of a bigger circle, opening their hearts. Many people in many countries share food and water, carpets and cloths. People collect boxes with cloths and toys to support and help people get a new start as they have left all there belongings. Many of them lost all they had in the calamities of war. The loss, or voluntary abandoning a home with its things touched upon another aspect of Carnelian. Most of us live in illusions of having possessions, having things that belong to us. It could be a flat, a house, a car or ideas, songs or art-work we have created. At one point somebody took it from nature! At some point some human mind got inspired from within or above. All we have are the gifts of nature. It comes either from the earth, the sun or the inner nature. Nothing is ours. It is given to us to take care of, to use with care, respect and gratitude. Carnelian helps us to realise that all those things are not limited to being ours they are there for us all to share. Carnelian takes away the delusion of possessions. Carnelian warms the heart to a unifying force making us share and stand together. Together we make everybody stronger, we make everybody richer. Together there is plenty for everyone and the heart can rejoice in charity. It heals the deep sorrow of loneliness of not belonging or not being able to enjoy the goods of life and nature. It creates the awareness and need or earning to unite in a bigger community or group, with the whole human kind or all life on earth. It makes us realise we are one and the same. When you feel the same love for everybody as for your close ones, you can say you know Carnelian in its full extent, in the debt of your heart. We always belonged together, but the ego forgot, it took things and said it is mine, my country, my property, my house, my car, my family, my wife, my myself. With Carnelian this “mine” is turned into “ours”, it is helping us let go of what we hold on to as ours, and it is helping us to reconnect with the gifts of nature. As in all the gemstones there is a silent, peaceful, solid, motionless conviction that the order to be, the order that always was there, is on its way back to what it always was. Carnelian takes away delusion of separation, loneliness and belonging, making us realise we always were a human kind, a family of beloved brothers and sisters. We were always a family where we shared all the riches of nature. Even war, calamity, loss, accidents and catastrophes will in the perspective of Carnelian be seen as release towards this state of common unity, or extended human family. Carnelian makes you realize that a long history of conflicts and separation is just a process of making the ones of us still holding to possession realize we have to share. At the deepest level Carnelian takes away not only the illusion of the ego or its possessions but also of a homeland or even being an individual person as it opens the door to a bigger holon of being just one of many smaller holons in the brother and sisterhood of man. Carnelian with its contents of Iron is an important remedy to differentiate with Ferrum and its salts. The determined perseverance, struggle and even themes of wars and battle are present in both. Where Ferrum is more down to earth, struggling and performing, there is an element of altruism, spirituality and higher purpose that is stronger in Carnelian. With its Silica content from group 14 in the periodic table, Carnelian has the theme of “the door” more present, enabling it to go completely new ways, while Ferrum has the strength (or weakness), industrious, hard working endurance to start but more to take on and carry (ferrum = carry) on to the end.